Tizta Berhanu was born in Addis Ababa, Ethiopia in 1991 where she has lived and worked her entire life. Tizta developed her passion for painting and drawing at an early age, when she used to copy foreign master paintings and drawings. Her love for drawing led her to study art in a private school called “Enlightenment Art Academy” after two years of formal training she joined AAU (Alle School of Fine Arts and Design) for further studies, where she received her BFA in 2013. Since her graduation, she has been working as a full time studio artist, experimenting and searching for new ways to find her unique voice through her favored medium, painting. While she was studying for her undergraduate degree Tizta became fascinated by ‘love’, exploring all the facets of this emotion in her art work. Inspired by humans and their emotions Tizta portrays her subjects expressing love, hate, sadness etc. She tries to capture the true emotion underneath the surface of their skins. Of all the feelings manifested by human kind sorrow is the one that drives Tizta to create. Her paintings are often ambiguous, almost unrecognizable, painted with broad confident brush strokes in deep intens colours. 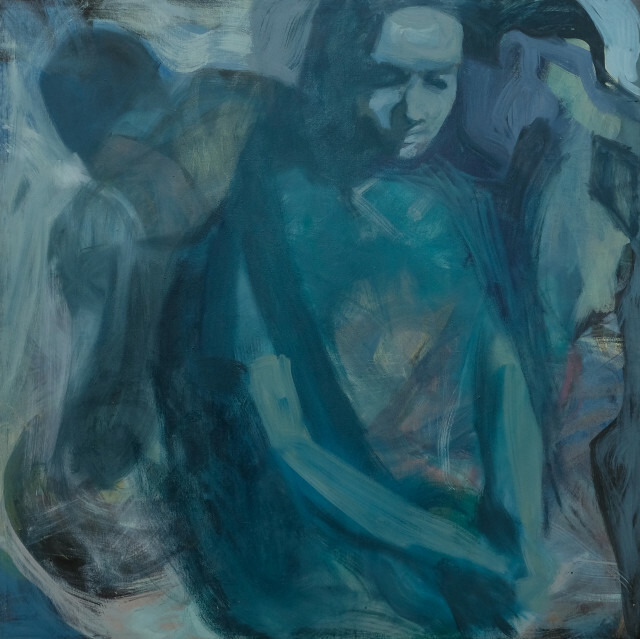 Blues, purples and deep sea greens, dominate the canvasses creating an almost uncomfortable atmosphere wherein the viewer comes voyeuristically close to the emotions of the portrayed. Tizta work has been exhibited both nationally and internationally. She currently lives and works in Addis Ababa.